Balloon Atlanta may collect personally identifiable information such as name, postal address, telephone number, and e-mail address, through the online order form. This personal information is collected and used by Balloon Atlanta for the purpose of facilitating a relationship or business transaction. Balloon Atlanta does not sell any personal information for any reason whatsoever. 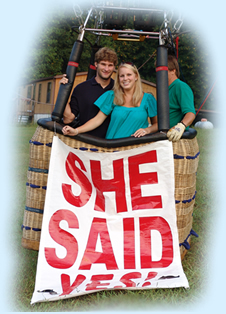 All personal information gathered is used for establishing and maintaining customer relationships with Balloon Atlanta. The website resides behind a firewall and uses SSL (Secure Sockets Layer, the industry-standard security protocol used to communicate with browsers) to transmit personal information. Data is strongly encrypted during transmission to ensure that personal and payment information is secure. Balloon Atlanta does not retain any Credit Card information on its servers. Credit Card data is passed securely and directly to an institutionally recognized Credit Card processing company. Balloon Atlanta will retain only the last four digits of a client's Credit Card as part of its receipt for payment. Industry-standard data encryption techniques are used to protect personal information on our computers. SSL-capable browsers typically have a symbol on the browser window to indicate when they are in a secure mode. In addition, the URL will begin with "https:" for all browsers. Balloon Atlanta does not sell e-mail addresses. Balloon Atlanta may generate e-mail for the following types of communication: Notification e-mail to which the individual may subscribe and unsubscribe. Transactional e-mail, which is the result of a business transaction initiated with Balloon Atlanta.